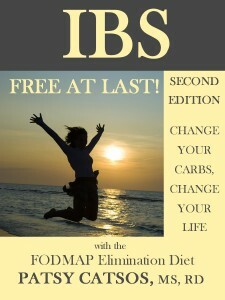 Patsy Catsos is a registered dietitian, medical nutrition therapist, and author of IBS—Free at Last! Change your Carbs, Change your Life. In her Portland, Maine practice, she helps patients with IBS, celiac disease and other gastrointestinal problems manage their symptoms and experience a better quality of life. 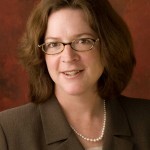 In addition, she is a frequent speaker at community and professional events. Patsy completed her undergraduate studies at Cornell University and earned a Master’s degree in Nutrition at Boston University. She interned at Boston’s Beth Israel Hospital. She is a professional member of the Crohns and Colitis Foundation of American and the Academy of Nutrition and Dietetics. “Once your gut has healed on a gluten-free diet, you’ll never have digestive health issues again.” That’s the dream for people with a new celiac disease diagnosis, and it serves as powerful motivation during the early months of gluten-free living. It isn’t the reality for everyone, though. While most celiacs do find their gastrointestinal symptoms improve dramatically once gluten is gone, almost 40% of people with celiac disease also have irritable bowel syndrome (IBS) to some degree. IBS overlaps considerably with those familiar gut symptoms of celiac disease: excess gas, bloating, abdominal pain and diarrhea or constipation. How can you tell if your remaining symptoms are still due to celiac disease or to IBS? 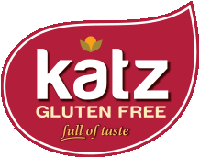 If you have been on a gluten-free diet for at least 6 months and you are still symptomatic, the first thing to do is make sure your diet is 100% gluten free. – Do a little soul searching—have you been making exceptions? Even occasional small amounts of gluten are enough to keep your immune system activated and your symptoms alive. – Review your diet with a dietitian or mentor skilled in the gluten-free diet. Are hidden sources of gluten or cross-contamination creeping in? – Ask your doctor for repeat blood work. 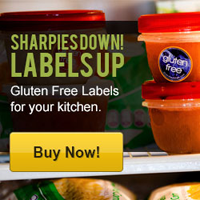 Your antibody titer should have fallen to normal or near-normal levels, proof that your diet is gluten-free. If your diet is well and truly gluten-free, you and your doctor might conclude that your remaining symptoms are due to IBS. Scientists still don’t know what causes IBS; probably a combination of factors such as altered gut motility and differences in the type and amount of gut bacteria. There may also be important differences in the way people with IBS experience sensations arising from the gut in a painful way, called “visceral hypersensitivity”. Though food is not the root cause of IBS, you might be able to tweak your diet to manage your symptoms. Many people with IBS (up to 75%) benefit from reducing the load of certain types of sugars and fibers in their diets. These particular carbohydrates, known as FODMAPs*, are poorly absorbed in the small intestines, even among people who don’t have celiac disease. When they move on down the line to the large intestine, they are rapidly fermented by gut bacteria and they can disrupt fluid balance in the gut, causing bouts of diarrhea or constipation. The extra gas, fluid and stool stretches the intestines like a water balloon and causes painful bloating sensations for people with IBS. Examples of FODMAPs in the diet include lactose (milk sugar), fructose (fruit sugar), sugar alcohols (found in certain fruits and vegetables) and the types of fiber found in onions, garlic, chicory root, beans, nuts, (also wheat, barley and rye). On your gluten-free diet you aren’t eating gluten-grains, of course, but you may be eating more of the other FODMAPs than ever before—after all, they are gluten free! Luckily, there are plenty of ways to reduce the FODMAP load of your diet. Unlike celiac disease, which requires absolute adherence to the gluten-free diet, IBS can often be managed with a more experimental process. Try reducing portions of high FODMAP foods, or choosing lower FODMAP alternatives, and see how you feel. Approach FODMAPs with an attitude of experimentation! Because many high FODMAP foods are also valuable sources of nutrients, the goal is to eat the most varied diet you can tolerate. Patsy’s e-book (Kindle-version) “FREE AT LAST! Change Your Carbs, Change Your Life with the FODMAP Elimination Diet (second edition) is now available (click below for Amazon link). If you think the FODMAP diet can help you, Patsy’s website lists US products (by brand name) which are allowed. You can view list HERE. I’ve been following a fodmap diet!!!! Feel so much better. Very informative article. I was diagnosed 2 years ago and am still having come gastro problems. Someone did recommend that I give up the fodmap foods, but I didn’t really take it that seriously – but after reading this, I am willing to try eliminating the mentioned foods to see if it will help. Very interesting. I’ve noticed I have a reaction after eating onions and especially garlic. I’ve never heard of Fodmap foods. Thanks. Thank you for posting this article. I am still having stomach problems even though I have been glutenfree for over one year now. I was thinking it was due to another food sensitivity and have been browsing the net for help. I am going to try the fodmap diet to see if it will help.THANK YOU VERY MUCH for the info provided here.